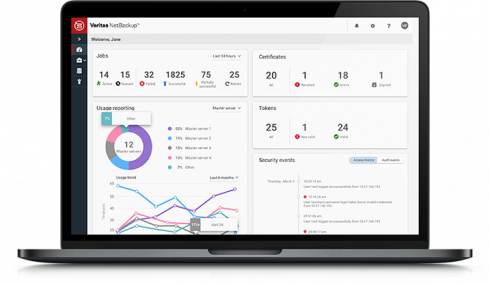 Enterprise data protection company Veritas has announced it’s bringing its enterprise data backup and recovery solution to Docker-certified containers. With a new containerized NetBackup client, users using version 8.1 or later can start using the solution to protect persistent application data, the company explained. “Years ago, most containers were designed to be transient or short-lived because the containerized application did not create or modify data that would be needed later. However, as containers have gained in popularity an increasing number of containerized applications are designed to create and modify persistent data,” the company wrote in a blog post. This evolution in container usage is leading to questions about data integrity and highlighting the need for mature backup and recovery processes to support these containerized applications in a production environment. Veritas is providing three ways to protect containers: using Kubernetes container orchestration to deploy containers in a single Kubernetes pod, deploying containers independently to protect a shared volume or standard NetBackup policies, the company explained. Veritas also added that not all containers necessarily have to be backed up. It depends on how applications are designed and whether or not they create or modify persistent data. More information on how to protect your containers using NetBackup is available here. In addition, the company recently announced NetBackup 8.1.2. The latest release features role-based administration with access control, agentless point-and-click restores of files on VMs, ability to orchestrate snapshots of cloud workloads, and real-time usage and consumption reporting.